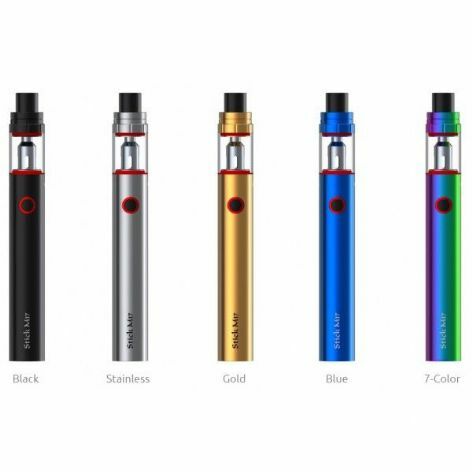 The Smok M17 Vape Kit is a thin and compact pen-style device that features a slim 1300mAh battery along with a 2ml, top-filling tank. It is designed as one unit, so the tank section cannot be removed without disassembly. The M17 Kit has a fixed wattage setting, always firing at full power until the battery is depleted, which can then be charged via the supplied USB cable. The kit comes with two 0.6Ω Sub Ohm coils, so can be used with the higher VG mixes; unusual for a device of this size.